We’ve converted. I’m not sure what we’ve converted to. All I know is my wife signed a religious waiver regarding child immunizations in order to get our son Cole into school. I should probably do some research into whatever it is we now believe about health care and our children. Don’t want to be a hypocrite after all. As adventures go, the horizon is never visible for long. Unknown mountain ranges or fog banks inhibit your view, and you may find yourself in a box canyon or an impassable drainage. But you reroute, you explore, you climb the high ridges and get your bearings again. Modern-age adventure isn’t much different. In trying to lead my family through the hoops of relocating to a new city in what might as well be a new country, I’ve discovered that there are an inordinate amount of box canyons and impassable drainages. We’re living in an executive apartment in downtown Anchorage, which has its perks, including proximity to some of the great Anchorage night life. And I’m not talking about wolves and bear. There are couches and chairs and a little plastic table in the kitchen. We have knives and forks and glasses, and our refrigerator is starting to look like we’re more than just on vacation here. There is a television, and I signed up for high-speed Internet for a month so we could stay connected. We keep the heat at 55 degrees, but our neighbors seem to like the nuclear setting and keep theirs set to hotter than hell. We walk around in shorts and t-shirts while inside and sleep with only a sheet over us. Cooking meals for five in small pans is incredibly frustrating and funny at the same time. Trying to make a salad is a four-part process, which requires cleaning the kitchen and washing dishes in between each stage. We eat in stages. There is no dish washer, per say, so the boys are getting a little lesson in the old art of hand washing. The biggest challenge is keeping Carson, who really likes to bounce a lot, from tumbling around the apartment sounding like his nickname, Hurricane Carson. He seems to forget that we live above someone. In exchange, I let him bounce on the beds to get some of that energy out. We got 7 inches of snow yesterday, which is almost enough to lose Carson in, so he’s been home bound and unable to attend school because of our lack of a permanent address. Many schools in Anchorage, especially the good ones, are on a lottery system, and many are closed for the year. But they are taking applications for next year. We are not the homeschool types either. In fact, we hate homework almost as much as the kids do. So far we’ve been lucky to have good friends and neighbors to handle math and other subjects that I’m not very good at. 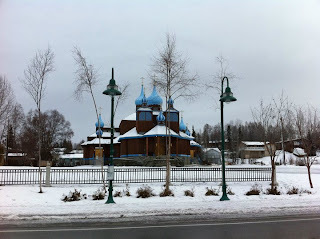 Sunday afternoon offered more fat snow flakes and slick roads as we drove around Anchorage looking for a place to live. 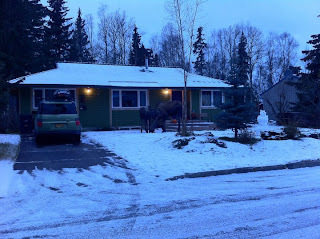 In one neighborhood we happened upon the largest moose we’ve ever seen. It was munching leftover pumpkins in yards as a calf explored front porches in the Turnagain neighborhood. And last night we ran out of clean clothes and visited a laundromat for only the second time in our 17 years together. We deposited what seemed like the remainder of our bank account in the form of quarters into 4 commercial washing machines and people watched for the next couple of hours. The laundromat was full of Samoans and Tongans with little kids running around and lots of food and conversation in the background. It’s a sight I haven’t seen in a long time, and it made me feel good to be in a different cultural setting. We finished drying and folding our laundry at 11 p.m., just as the owner was sweeping out the shop and getting ready to lock the doors. Today we pushed the issue of getting the kids into school, and Cheryl signed a religious waiver to get our son Cole enrolled at Central Science. She’ll spend the rest of the day trying to get Carson enrolled at Inlet View. I’m left wondering why there is no consistency between states and school systems. One state wants birth certificates, another state wants proof of immunization. I want an easier way to navigate the bureaucracy behind my headache. As sometimes happens in an adventure, my wife is left with the brunt of a lot of the navigation, while I’m learning my new city through the eyes of the local broadcast station. I’m already well into the challenges of work and enjoying my job very much, while trying to support Cheryl by phone, E-mail and text message. Yesterday she found the perfect house. Too perfect. 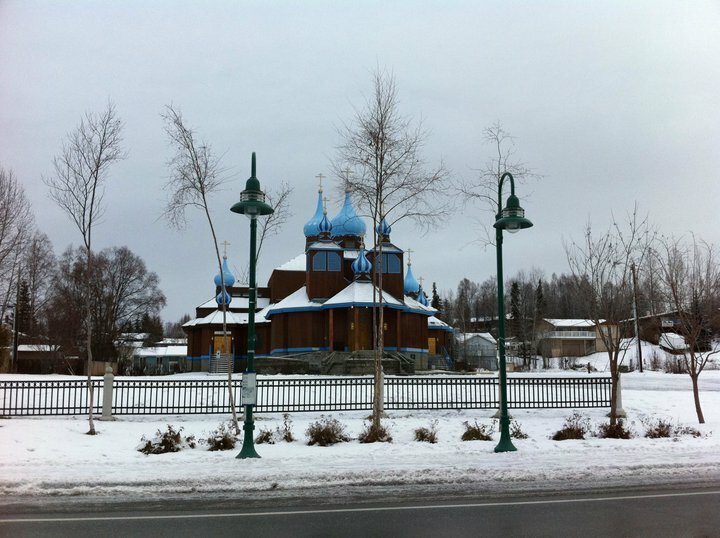 It’s a nice suburban single-family home in south Anchorage with new cherry wood floors, granite counter tops and a yard the size of a small eastern state. The rental price was ridiculously low, which caused me to think twice. 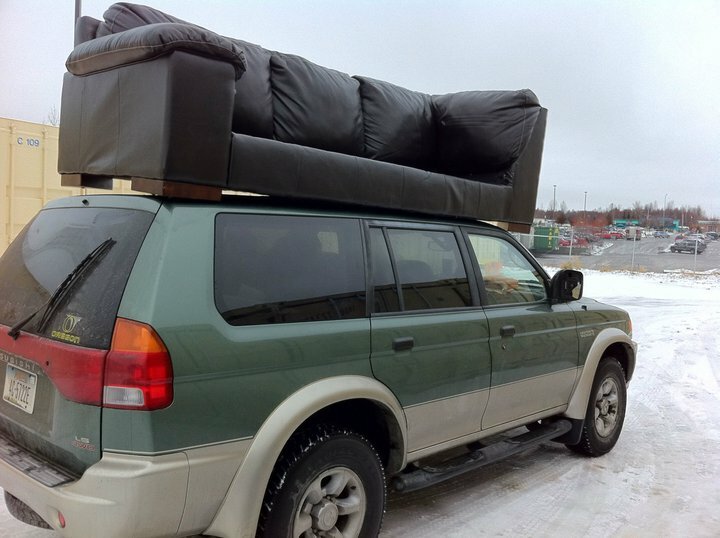 Still, I E-mailed the contact on Craigslist with the hopes that there was some explanation of why the price was so low. Indeed there was. Turns out Mr. Harold B Richardson has moved to Spain with his lovely wife. They must rent their home here in a hurry and though they know the price is low, they would love to have a good family in there. All we have to do is send them our bank info and they’ll send us the keys. The telltale sign in all of this was the return phone number with an area code from Lagos, Nigeria, which my friend Michelle graciously pointed out. The disappointment Cheryl felt clouded much of Sunday for us. But today is a new day with a few more listings on Craigslist. I’ll be wearing a KTUU Channel 2 NBC vest in hopes that someone out there wants to rent to a news guy with a nice little family. This post may sound depressing, but it’s really not. We’re adjusting to all the new challenges, and the kids are starting to get their bearings. Cheryl and I will start to find ours soon enough. Then it’s onward and upward. I have a feeling this is going to be your best adventure yet!